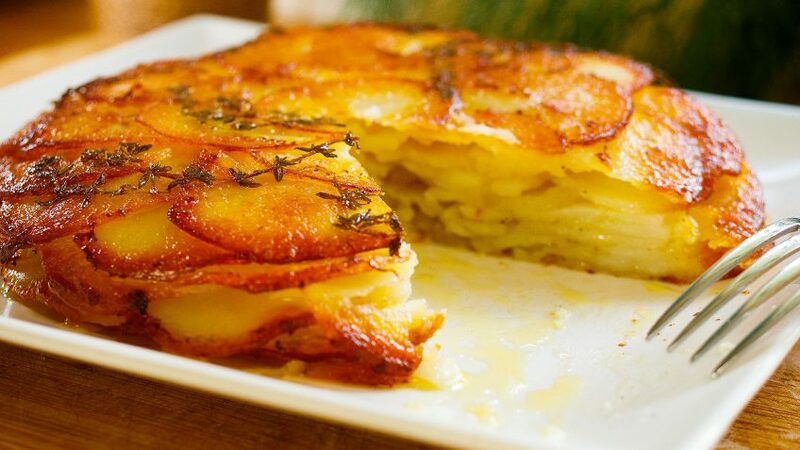 Gratin Dauphinois is a classic French potato dish that you will find in many bistro restaurants in France. 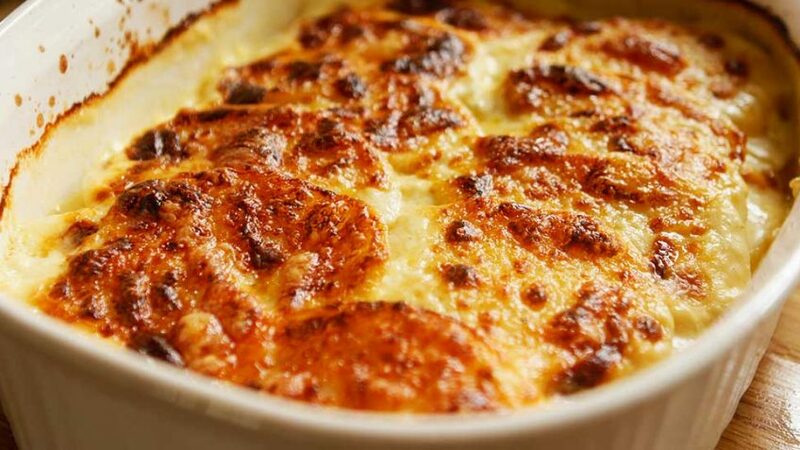 Traditionally there’s no cheese and instead, knobs of butter are added to the top helping the potato starch mixed with the cream render that brown gratin look and flavour. So you can leave the cheese out if you’re a purist, but I think it takes it up a notch. 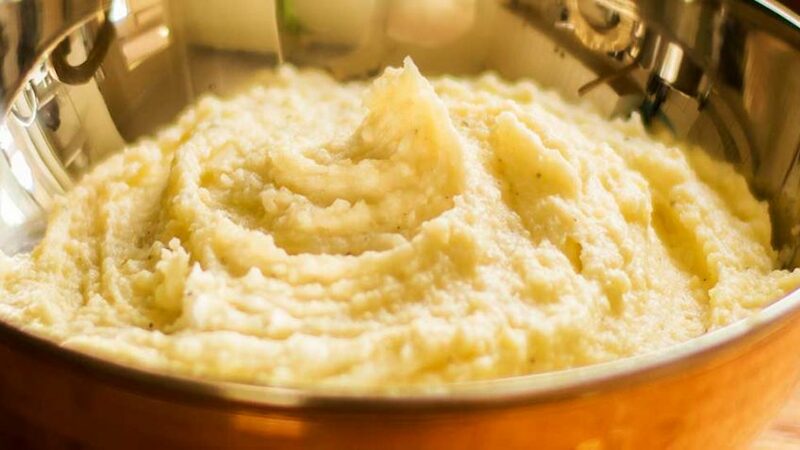 It’s such luscious velvety potato dish making it irresistible and difficult not to go for seconds. In a mixing bowl or large jug, add the milk, cream, nut meg and salt and pepper. Grate the Swiss cheese, leave aside. 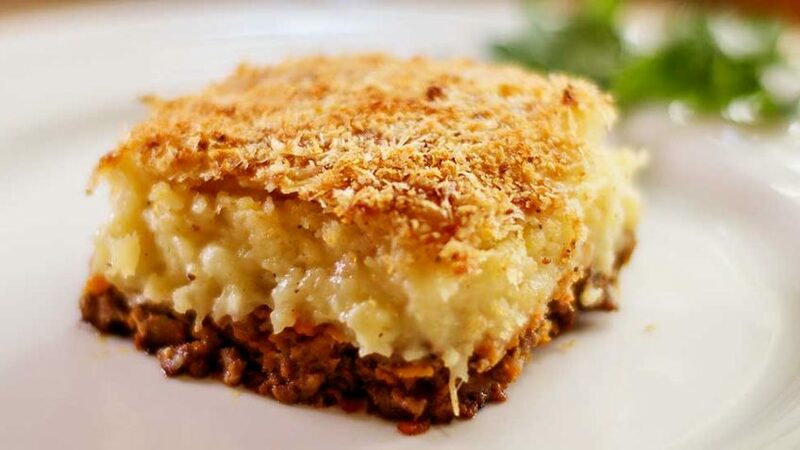 In a large saucepan or oven proof dish, add the garlic clove minced and pour in the milk and cream mixture. Peel and slice the potatoes either using a mandoline, a knife or a kitchen wizz with slicer attachment. Add potato slices directly to the milk and cream mixture (do not rinse). Turn on heat and bring to a gentle simmer. As soon as it starts to simmer, turn heat to very low and gently simmer for 8 minutes. 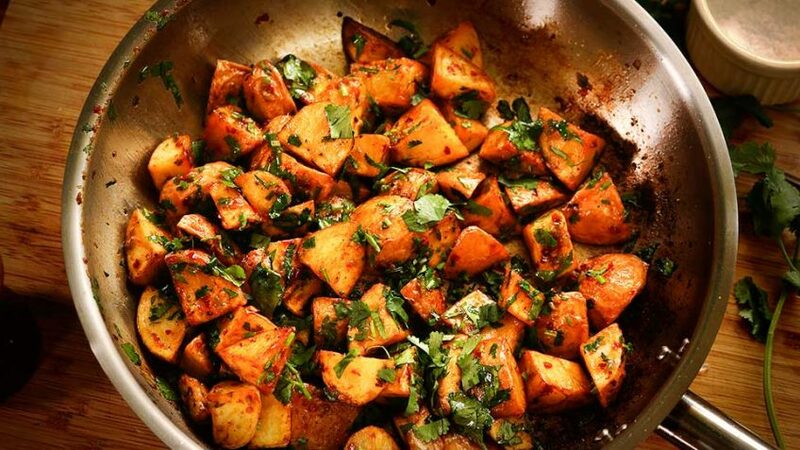 Taste the liquid for seasoning, adjust if need be and transfer your potatoes to an oven proof baking dish. 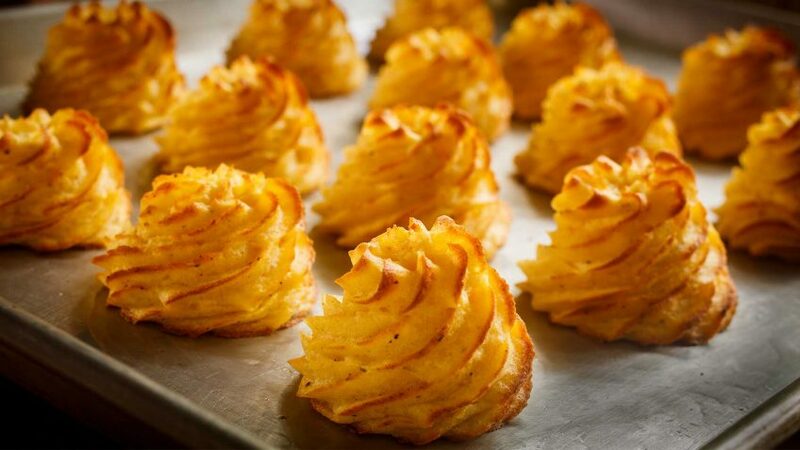 Keep the potatoes fairly flat int he dish and arrange the last layer by overlapping slices for a nicer presentation (this is optional). Pour the remaining liquid on top, and scatter some cheese on the top. Place in oven and bake for 40 min at 350°F – 180°C. Rest 10-15 minutes before serving.